Lesson #1: Internalize the client’s wish, and find a creative way to make it happen. 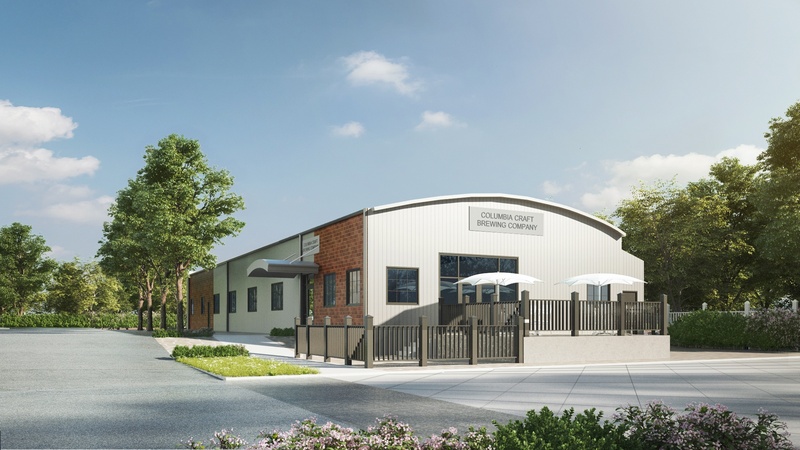 To enhance a feeling of community, Richard wanted to connect the brewery and the tasting room. The building code would not allow it left wide open. My design solution…glass walls that separate the spaces on the side of the bar. This gives people a window into the facility; they can still see what’s going on behind the scenes, and wooden walls elsewhere still ensure an earthy aesthetic. Lesson #2: Refurbish or replace as needed, while honoring its heritage. Pulling all the old metal off and replacing it with new metal revealed a modern-day warehouse look. Coupled with brick on the exterior, the zoning board was pleased with our plan. We made it a little prettier, but it still looks like a warehouse. Lesson #3: A challenge is a problem that we solve when designing a craft brewery in Columbia, South Carolina. The owner Richard and his boys love dogs. Likewise, they want to welcome dogs to enjoy the space outside the brewery. To realize this idea, we created a grass area that also met code, which required a certain amount of sodded or permeable surfaces. This also helped us meet the storm water runoff requirements. Now, brewery-lovers and dog-lovers alike can sit out there on a blanket or foldout chair! Rock climber, hiker and award winning Architect with over 28 years’ experience on new builds and renovation projects. Expert in Commercial Renovations and winner of multiple awards for Adaptive Reuse/Renovation and Historic Preservation. Residential work has been featured on the cover of two prominent South Carolina magazines.